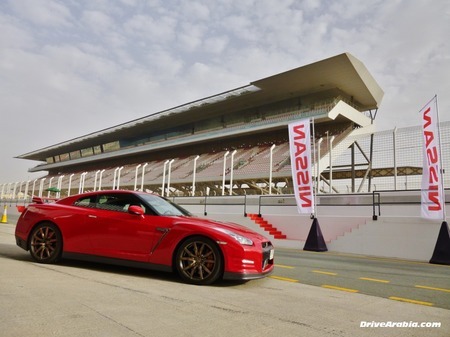 Drive Arabia got a chance to get some seat time with the 2013(2014 US) Nissan GT-R. Journalists along with several Facebook fans got a chance at a few laps in the 2013 models, along with a presentation by Mizuno. It is interesting to see some of the differences for the local markets. The Black car has a Red Amber interior, gold grille, gold side emblems, front lip with brake ducts, Dark Silver(Clubsport) Wheels, and silver brake calipers. They call them 2012 models in the article, but its more likely that they are 2013 models. The Red Amber interior was first introduced in 2013. Cars like the Nissan GT-R are a rarity nowadays. No other carmaker in the world has managed to create an accessible supercar-beater for the price of a BMW 7-Series. 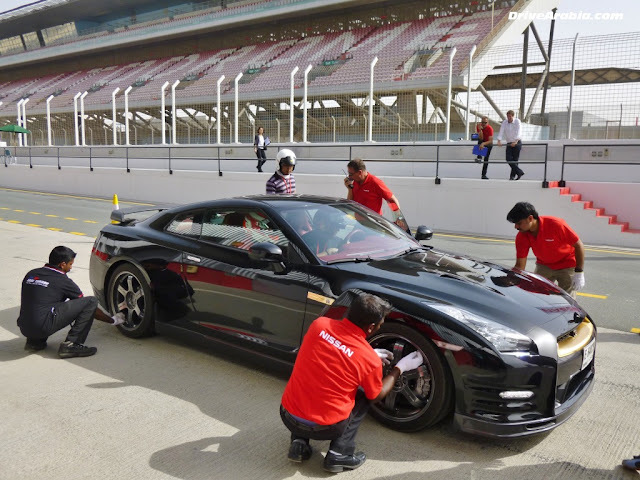 Even the outgoing Lexus LFA and the new Honda NSX are expensive and reserved for the uber-rich, and we’re guessing they still won’t be able to match the GT-R’s capabilities on a twisty track, let alone Ferraris and Lamborghinis. This will likely be Mizuno’s last project before he retires, and he’s going out with a bang. Interesting car. Gold grill, Red Amber interior. Silver brake calipers.